Attendees braved the at times pouring rain to hear Klein, former U.S. 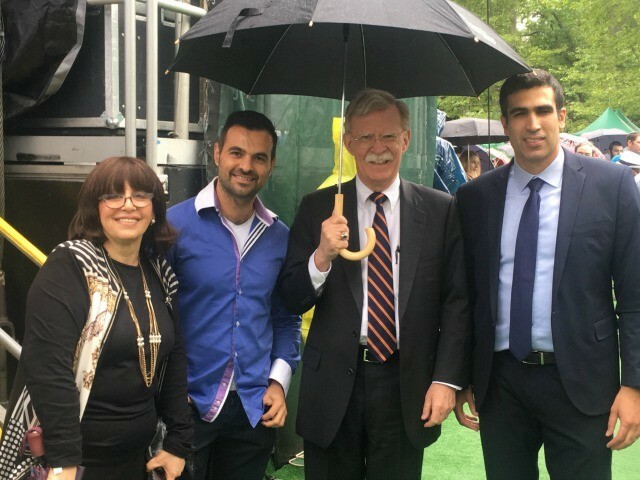 Ambassador to the U.N. John Bolton, Israel’s U.N. 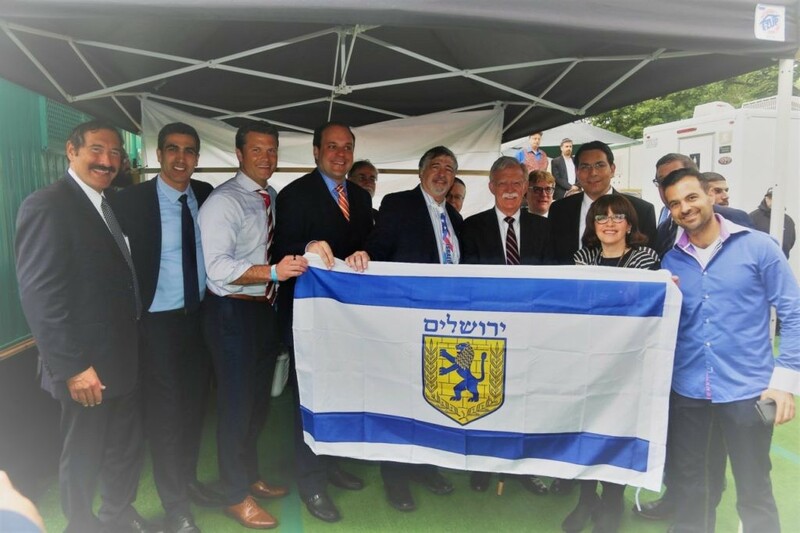 Ambassador Danny Danon, Jerusalem Mayor Nir Barkat, Consul General of Israel in New York Dani Dayan, President of the Zionist Organization of America (ZOA) Morton Klein, and others discuss their vision for Israel and the world. Sunday’s Israel Day concert was the 23rd annual event and took place shortly after thousands of people participated in the annual Israel Day Parade. Klein went through just a few examples of how non-peaceful the Palestinians are. He pointed out that several days before, Breitbart Jerusalem published numerous articles about anti-Israel incitement in official Palestinian Authority media outlets. Abbas also rejected a request by the Trump administration, and repeated calls by lawmakers in the past, to end “pay-for-slay” payments that reward Palestinian terrorists and their families with money for carrying out crimes against Israelis. The Palestinian Authority has reportedly paid these terrorists and their families $1.12 billion (NIS 4 billion) over the past four years. The day before Trump’s meeting with Abbas in D.C., a television show broadcast on official Palestinian Authority TV interviewed a “hero” terrorist and called for a return to the “days of the Intifada” and violence against Israelis. Klein asserted that only Israel will guarantee the rights of all religions to access and pray at their holy sites. Klein recalled the “Siege of Bethlehem” in 2002 when Palestinians took priests and nuns hostage for 39 days, as well as when the Palestinians destroyed the yeshiva at Joseph’s Tomb, Judaism’s third holiest site, and painted it green, the color of Islam. He also reminded the crowd that the Islamic custodians of the Temple Mount, Judaism’s holiest site, don’t allow Jews or Christians to pray at or bring holy objects to the site. “Therefore, it’s up to us, not the news media, to set the record straight and to make the world understand that the truth is very much on our side,” Klein told those gathered. 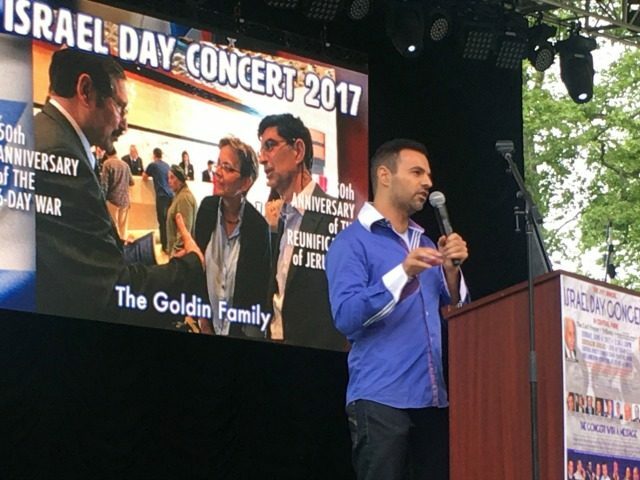 The Israel Day Concert was organized by pro-Israel activists Dr. Joe and Karen Frager. Concert chairpersons include Dr. Paul and Drora Brody, with Odeleya Jacobs, Vice President of the Orthodox Jewish Chamber of Commerce, organizing media for the event. The musical director was Shlomi Dachs.